With Valentine’s Day on the horizon, it’s time to start planning for a romantic evening. Any good date begins with a good dinner, and Birmingham is no stranger to fine dining restaurants that will wow your dining companion. Here are three of our favorite places to kick off a memorable night with the one you love. Located at 2810 Third Avenue South, OvenBird is renowned Chef Chris Hastings’ live-fire, Southern-with-a-twist restaurant that focuses on fresh, seasonal ingredients and innovative takes on classic dishes. 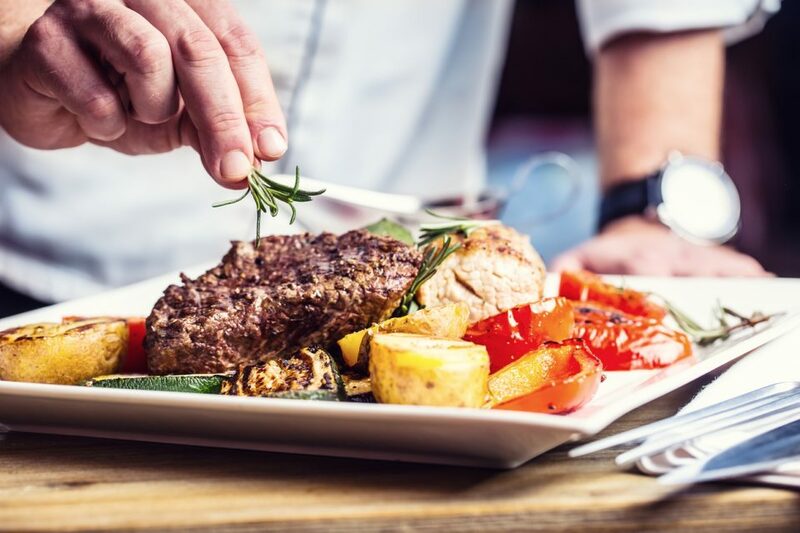 The menu showcases delectable options ranging from salads and seafood to beef, lamb, and chicken masterpieces that will have you looking forward to your next dinner date. This Birmingham favorite features atmosphere and food that echoes a casual French bistro. Chez Fonfon is Frank Stitt’s brainchild, a unique and character-filled eatery serving classic French dishes like steak frites, escargots, coq au vin, and charcuterie. It’s a great place to relax and chat over delicious food and drinks in a sophisticated setting. Chez Fonfon is located at 2007 11th Avenue South. Another local favorite for special occasion meals, drinks, and casual dining alike are two sister establishments: Bottega and Bottega Café. The fine dining side of the restaurant is set in a refined and elegant atmosphere that’s sure to add a touch of romance to your evening. The Bottega menu features Italian favorites interpreted by Chef Frank Stitt’s culinary magic, plus an extensive wine list and handcrafted cocktails. At the laid-back and bustling Bottega Café, you’ll find a more casual atmosphere with delicious menu offerings like crisp wood-fired pizzas, sandwiches, and seasonal vegetables. Bottega is located at 2240 Highland Avenue South, in the historic Bottega Favorita building. Make sure you’re ready for your Valentine’s date with a car you’ll be proud to drive. Brannon Honda can help you upgrade your transportation with our fantastic selection of new Honda models and used vehicles from a variety of other popular automotive brands. We have something here for every type of driver and every budget – plus amazing special offers and incentives to make your vehicle more affordable than you thought it could be! So, what are you waiting for? Impress your dinner date with your shiny new ride and get ready for a Valentine’s Day for the books.